In today’s post Julia and I are going to chat about the Anastasia Beverly Hills Holiday 2018 Collection. Technically is not a real collection but more their holiday launches, anyway, they came out with a new palette, glitter pots, a liquid lipsticks set and a gloss set. Mimi: As might already know I love ABH’s palettes, the new Norvina one has my heart and soul but this one is not for me, I mean is pretty but there is something a bit off for me, I don’t know what it is but I’m not a fan. Julia: This palette makes me sad, the colours are too cool and light, nothing exciting. Mimi: They look pretty but I never use loose glitters so they are not for me. Julia: I’ve seen some swatches, they look nice. Mimi: I don’t like metallic liquid lipsticks, it’s not the look for me. Julia: I don’t like them, I’m not a fan of those shades. Mimi: These look pretty, especially the first and the third shade, but I’m not sure about the glitters, I prefer my glosses when they are more creamy rather than shimmery. Julia: They really attract me, pretty! That bordeaux lip is beautiful! I like metallics and almost always wear red lipstick so I may look into that. I don’t think I’d wear the others in the set though. 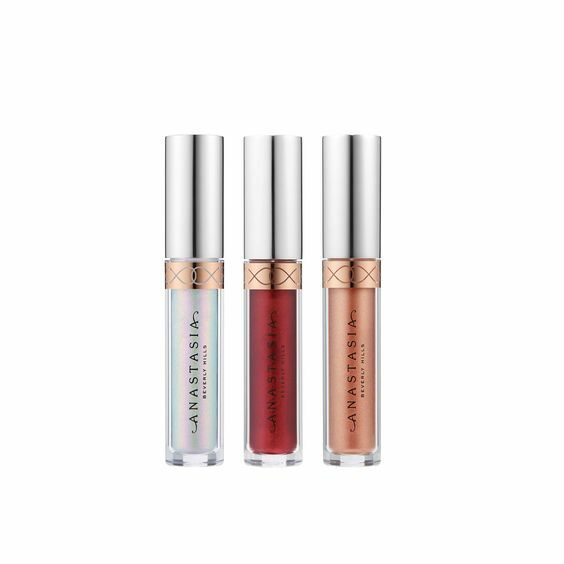 The glosses are my fave, but I’ve never tried metallic on my lips and those shades are gorgeous- so I might have to pick one up! I agree the glosses are so pretty! Most of these are a little too sparkly for my taste. I’m more of a neutral, no-makeup-look, type of girl, so the eyeshadow palette is my fav of these products. Glitter all of the things! I don’t wear makeup often, but when I do, I love to shimmer. These look great! I’m absolutely loving the colors in that Sultry palette! Perfect for falls makeup looks!